According to the National Retail Federation, external loss from shoplifting and Organised Retail Crime (ORC) is now the biggest source of loss across the industry. With external loss there’s an important distinction to make between losses from low-level opportunistic theft and losses from organised retail crime and career criminals, but this can be hard for organisations to quantify and prove at scale. Against competing priorities of the business, this can lead to under-investment in the response. Decision-makers tend to agree that loss is a significant problem, yet don’t often agree on the root causes. For your colleagues in other areas of the business, like operations and finance, who may have minimal loss prevention experience, it can be hard to understand the impact of ORC. Only 54% of loss prevention professionals at US retailers say top management understands the severity of ORC threats. If you believe external loss is a problem for your organisation, how do you get the buy-in to key initiatives that you think will make the most impact in loss reduction at your organisation? We believe data plays a critical role in proving the extent to which ORC and career criminals impact loss. So we thought we’d explore how visualising data can help surface organised retail crime. The visualisation below synchronizes an offender network chart with what I like to call an ‘Offender Pathway’. 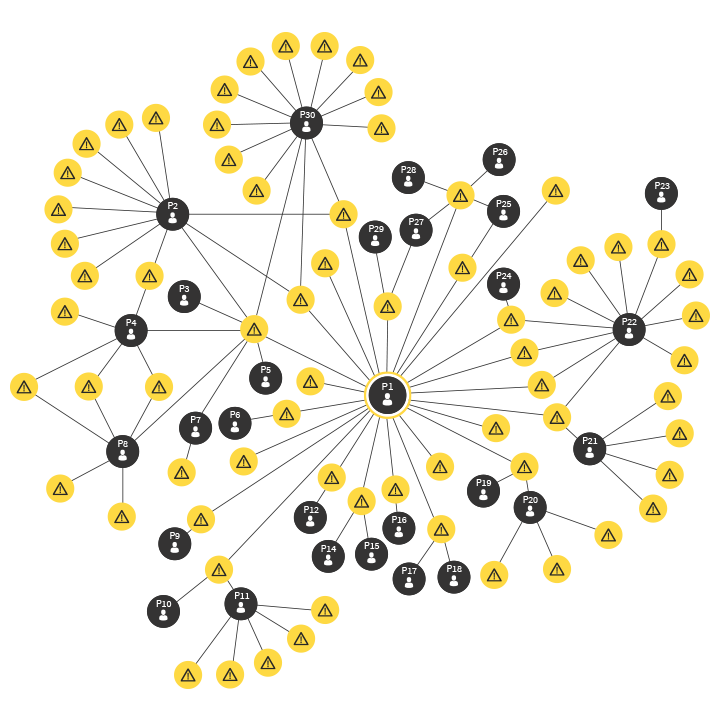 The chart below shows the locations and ‘path’ of offending for a member of an ORC ring in Auckland that was targeting high-grade Manuka honey; keen readers may recall our Honey Heist case study on this particular group. These types of data visualisations are currently the output of a fair bit of manual work, but we see a future where these visualisations and other actionable intelligence are automated, targeted, and dynamic. The result? People can focus on appropriate and timely responses to organised criminal activity rather than spending so much time connecting the dots. As more crime data is consolidated from the retail industry in real-time, exciting possibilities arise to leverage the data in new ways. This includes predictive analytics, which we believe will change the paradigm of how retailers and police collaborate to put a stop to ORC. It’s all about the data network effect. Would it help your organisation to have similar intelligence automated in real-time as the crime happened? Would that enable you to respond more effectively than you currently do? Would it help you get buy-in and support of decision-makers? Could you collaborate more effectively with other retailers and police? My roles as a Community Intelligence Analyst at Auror is to help retailers and police explore new possibilities with data. If you have anything you’d like me to explore, you can email me at lucas@auror.co.